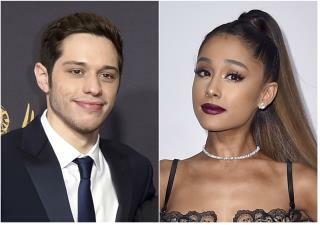 (Newser) – Is Pete Davidson on the brink? The Saturday Night Live star posted online missives Saturday that touch on mental health and suicide, per TMZ. "I really don't want to be on this earth anymore," writes the 25-year-old on Instagram. "I'm doing my best to stay here for you but i actually don't know how much longer i can last. all i've ever wanted to do was help people. just remember i told you so." Davidson then deleted his account, as he did for a while after breaking up with Ariana Grande in October, per E! Online. Only two weeks ago the comedian said he wouldn't commit suicide despite months of bullying and harassing from online trolls. And he's been open about his struggles with depression, borderline personality disorder, and suicidal thoughts, notes Variety. His still stinging from his clueless attack on the conservative congressman who won. Posterboy for bad SNL "comedy." Love is dangerous. Those highs he felt when landing this young beauty are now causing him equal sadness and depression. Nothing but time heals a heartache like this and doing so on a public stage has to intensify this by measures unimaginable for most of us. The tweet was a cry for help and it appears that people heard them and are rising to take action. That’s the touching part of this temporary young love tragedy. He has to get off social media and stay off. It's a toxic environment for someone who's pretty sensitive.